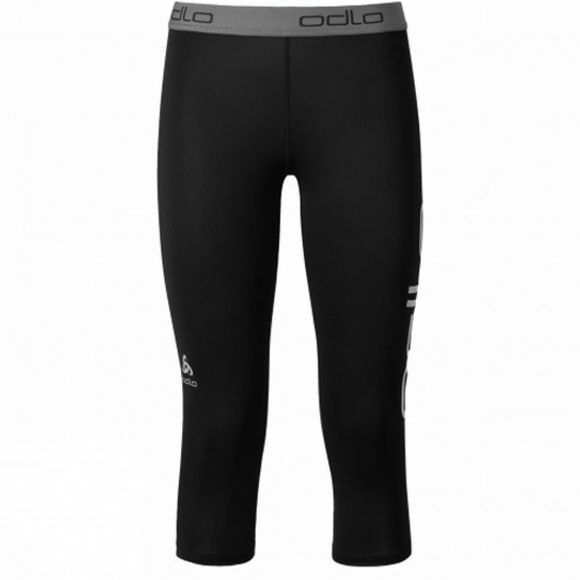 These Odlo Sliq 2.0 Three Quarter Length Tights for women will appeal to you if you are looking for great quality. They're designed for running so they perform well during everyday runs and training, but that also have a modern design and unfussy clean look that show you mean business on pavement or pathway. The three-quarter length is a perfect option for summer running when you’d like a little more air to circulate around your legs. Whilst the Sliq Tights are a statement of intent rather than a fashion statement and are available in no-nonsense black only, they are designed to compliment any top you care to wear when you’re running. They feature discreet panelled construction that provides a supportive, figure hugging fit and the use of high quality jersey 230 Active material that’s comfortable and keeps its shape run after run. There’s also a drawstring, elasticated waist and subtle Odlo thigh branding.